This is crossposted from City Observatory. 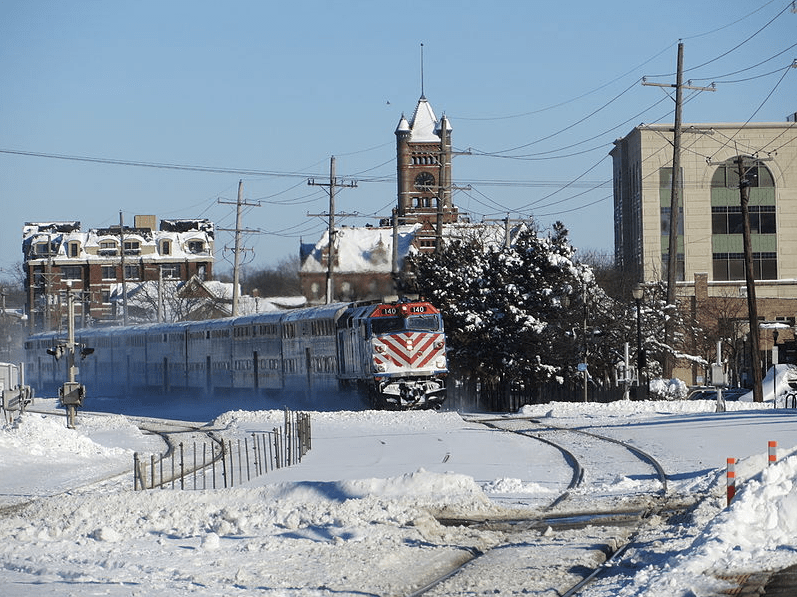 I have commuted using Metra for 15+ years and Pace/Metra for about 4 of those. I am a big supporter of transit, but I have no idea of how to make it work in a suburban environment. Here is an example – We live in Naperville and My wife works in Itasca, and a bus does go near her building. The Pace Bus from our corner goes to the Naperville station. 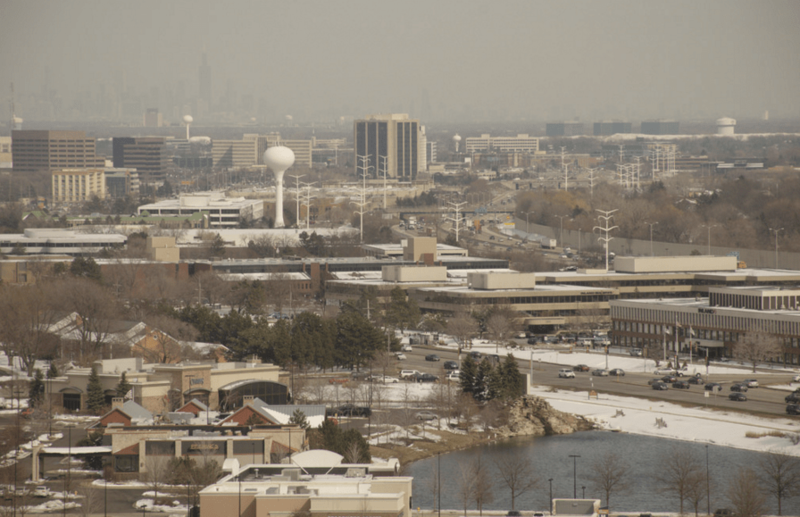 So a suburban trip would include a bus trip to Naperville Metra, from the to College of Dupage, North from COD to Rohlwing & Lake and then a walk of over a mile. 2 hours 8 minutes. And that trip has the benefit that COD can act as a “hub” and is near the center of the trip. The next fastest trip includes taking the MD-W down to Union station and the BNSF back out. I think in the near to medium term, the solution is aggressive investment in the bus system to build a high-frequency grid. Not that there are resources for this… but given a choice between a new rail line (say, Blue Line to Yorktown as has been discussed in the past) and a whole upgraded bus network, I think the latter would move the dial more. Ultimately the Butterfield/22nd Street corridor should probably get a rail line to Oakbrook and Yorktown. 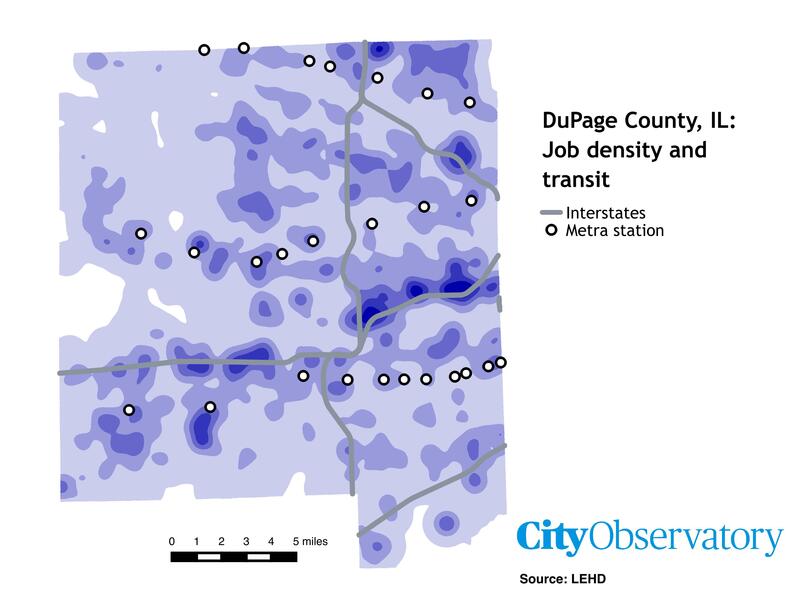 I’ve thought about either a Blue Line extension or some kind of spur line off of the UP-West Metra line. The Rockville Pike corridor in Montgomery County MD offers a good example for how a major commercial corridor can be transformed. 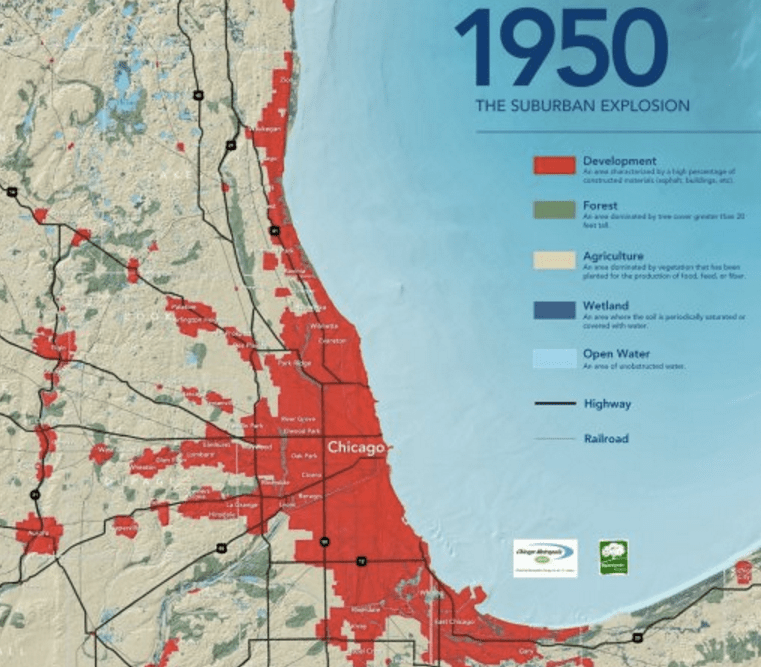 IIRC there was talk of a Metra “outer belt” rail line to link many of the suburban “centers”. Thanks to the NIMBYs AFAIK it has been totally blocked and the tracks were bought up by CN to give them a bypass linking their formerly stub ending in Chicago routes. MD OTOH is finally committed to restoring a former freight line between Bethesda and Silver Spring with new ROW cleat to New Carrollton. 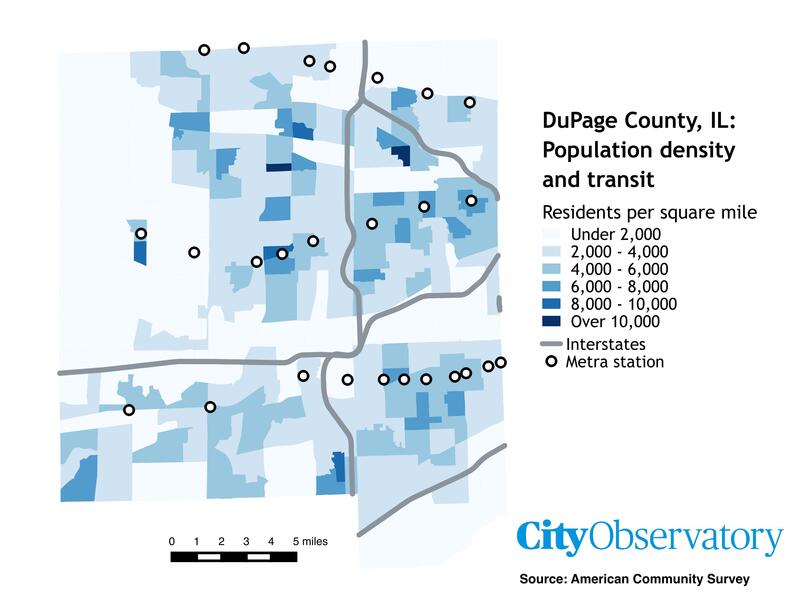 That said, repealing the down zoning around Metra stations, better,more comprehensive bus services, and, ultimately a suburbs to suburbs rail system will have to be done. Where can we find the money? why, eliminate what we waste on our frenemies in Riyadh, build NO F35s. There is plenty of money to fund actually useful stuff if we quit feeding the five sided money BBQ in northern Virginia.